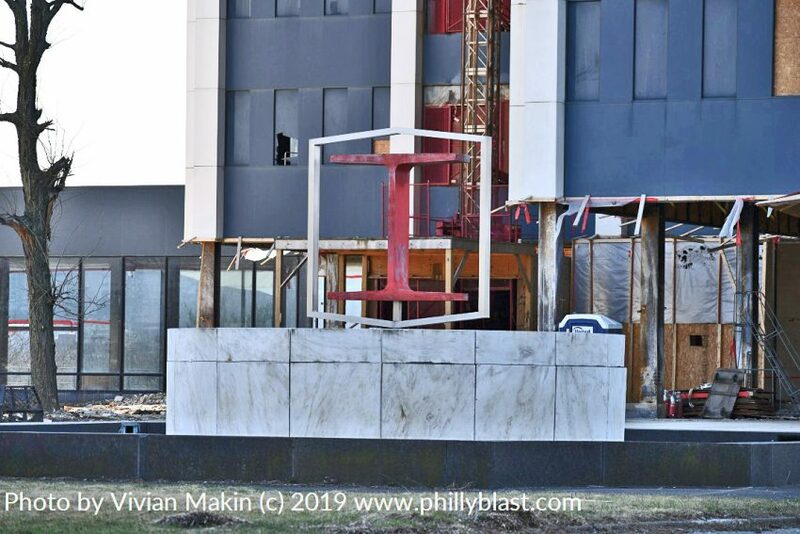 After much speculation and anticipation, Bethlehem city officials announced that Martin Tower will be imploded on Sunday, May 19, 2019. An exact time has not been set, but it is expected to occur in the early morning hours to minimize disruption to traffic and local businesses. In mid-April, city officials expect to release additional information about the demolition plans. They will provide area map that includes street closures, restricted areas, and safe viewing areas for spectators. For now it is said that the 332-foot tall structure will fall to the east side of the site which is safe and clear. Bethlehem Steel executives broke ground for Martin Tower on the morning of August 25, 1969. The 21-story cruciform structure would become both their new headquarters and the tallest building in the Lehigh Valley surpassing Allentown’s PPL building by 12 feet. Martin Tower was completed and opened in 1972 during a time that Bethlehem Steel was at its peak. A second tower was planned, but never constructed. The existing tower and the recently-demolished low-rise annexes have been vacant since 2007, and plans to renovate the tower into upscale condominiums fell victim to the Great Recession. View of Martin Tower’s west face, showing the horizontal cut along the 17th floor which overlooks 8th Avenue. 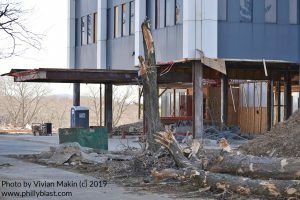 Demolition of Martin Tower was contingent upon Owens Lewis Ronca and Norton Herrick submitting plans to redevelop the 53-acre site. A rendering released this week shows a mixed-use development featuring 528 apartments, a 132-room hotel, two retail buildings, three medical office buildings, a restaurant, and a gas station and convenience store. The demolition of Martin Tower has been controversial amongst Lehigh Valley residents. 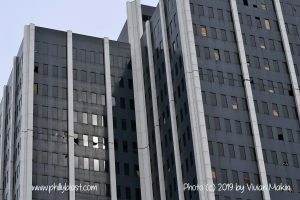 Despite the failed efforts to save the tower, many have shared their photos, artwork, and tributes to the iconic tower. Although Phillyblast was created to share the excitement of building implosions, we are admittedly saddened at the impending demise of one of our favorite Lehigh Valley landmarks. We thank all of those who tried to save this beautiful tower, and we enjoy you sharing your photos and memories of it.